Prepared by Arthur Webb, Senior Counselor on Health and Human Services to Capalino+Company, with statements from several leaders and a legal advisor on the value of collaborations. I recently released a paper on Mergers, Acquisitions and Absorptions in the Not-For-Profit World of Human Services in New York City (March 2016). This new, second paper on collaboration highlights the many activities and approaches that nonprofits are taking to survive, if not thrive, in the new world they face. This is another era of government cost-containment spreading and deepening across the human service sectors, of widespread Medicaid reform and of new payment models that purport to reward value rather than volume. This paper focuses on human service agencies. We hear plenty about hospitals and all the mergers and acquisitions they are forging but we don’t hear about what the smart leadership is doing among our human service agencies. One of the most exciting and perhaps fruitfully disruptive innovations is the emergence of provider collaborations in the human services field- — particularly in the behavioral health and developmental disabilities field, and also in the field of long-term care. Where divisiveness can drive a deep gorge between players who need each other, we need to cross this chasm. Right now, there are leaders in the human service sector who are putting the common good on par with their agency’s survival. Some might call this disruptive collaboration the ultimate example of synergy but before we complete our trip down the yellow brick road, we have a lot of hard work to do in order to achieve measurable outcomes. In the midst of aggressive behavior to dominate (as we see with hospitals and as big health insurers consolidate), we see human service providers seeking common ground through collaboration. It is more than a desperate attempt to hang on for dear life to their mission to serve in the best way they know how. It really is as close to our core American philosophy of a shared commitment to protect our communities. Unlike what we are seeing in our presidential campaigns where polarization is deepening, the collaboration we are forging is driving toward solutions where benefits are shared not captured for only the winner. To achieve real transformation in health care, payers and providers must collaborate. Yet this collaboration isn’t particularly easy, because these groups traditionally have opposing agendas. But in the brave new world of value-based care — and the resulting value-based payment (VBP) methodologies, one common goal unites them: more effective use of resources, while improving quality and outcomes. Collaboration has been talked about since the 1970s when human services was starting to be discussed as an emerging field. Collaboration comes in so many different shapes and forms, and with many interlaced meanings, such as cooperation, teamwork, shared thinking, connectivity, interaction, synergy and more. Also the spectrum of levels of collaboration ranges from simple one-time, single-purpose activities to highly developed business enterprises with clear commercial goals. The remarkable attribute is the coming together of otherwise legally separate nonprofit agencies around a shared business purpose. For the human services field, the intensity of active consideration in the formation of business collaboratives started in 2011, somewhat spurred on by Governor Andrew Cuomo’s Medicaid reform agenda under the Medicaid Redesign Team, or the “MRT.” I have been involved with four of these at one time or another. Collaboratives in play today include NYIN—New York Integrated Network for Persons with Intellectual and Developmental Disabilities (NYC); CBC—Coordinated Behavioral Care (NYC); CBHS—Coordinated Behavioral Health Services (Mid-Hudson); AICNY— Alliance for Integrated Care of New York (AIC – formerly the Accountable Care Coalition of Greater New York). The MRT concept and vision is driving toward ensuring that all Medicaid recipients become enrolled in managed care. However, the MRT also is evolving with the advent of the Delivery System Reform Incentive (DSRIP) Payment system along with VBP. These have such profound influences in the marketplace by changing the relationships between government, providers, MCOs and enrollees that the purpose of this paper is too limiting to fully explore all the market changes. Each of the collaborations has a different purpose but each one has formed or is in the process of implementing an affiliated independent practice association, or IPA. An IPA is a special-purpose legal entity that has two unique powers and purposes. First, an IPA is capable of “arranging for” (i.e., contracting on behalf of) the services of licensed providers without otherwise violating New York State’s strict prohibition on the corporate practice of medicine. Second, an IPA is legally authorized to assume risk contracts from managed care organizations (MCOs), which is critical to achieving the types of risk-based payer contracting arrangements envisioned by the New York State Department of Health in its VBP Roadmap. Based on these special purposes, IPAs have often been used by otherwise competing providers to engage in collaborative activities, such as clinical integration, with the goals of improving care, lowering cost and achieving better health outcomes for their collective service recipients. This model is perhaps an example of the ultimate in collaborations in the continuum of shared activities among nonprofits. The Alliance for Integrated Care of New York, LLC (AICNY) is an Accountable Care Organization (ACO) that participates in the Medicare Shared Savings Program. Although AICNY is only one of many Medicare-participating ACOs, it is a unique in that its participating providers are largely composed of agencies serving individuals with intellectual and developmental disabilities. Generally, these initiatives were started as a way to do the following: create a market presence, build market strength, build common and uniform clinical practices, create a shared learning environment, and create opportunities for cost savings and efficiencies. It has taken time and leadership to get to a business model that has some traction and presence. But nonetheless, the coming together of nonprofit agencies to achieve common goals without letting go of the individual identities and purposes is quite remarkable. Recognize that there are major threats and opportunities that agencies face and strongly believe that collaboration is a means to deal with the uncertainties and unknowns. Increase the opportunities to assess possible synergies and development of joint programs. Position them to participate effectively in the new world of risk management and managed care. Improve the coordination of care and possibilities of integrated care practices. Open and expand opportunities to reaching underserved populations, for example, to persons with behavioral health needs and others. Optimize the joint strength of Agency A, B and C to influence market forces. Understand that collaboration to survive requires some consolidation and reorganization. This collaboration continues to evolve. The truth of the matter is that CEOs and organizations have to be willing to take risks — that is to say, “trust” the decisions of the new collaborative. This perhaps is the most difficult threshold to cross, because it puts a large portion of an agency’s revenues and expenses in play in a whole new way, and therefore at much greater risk. This, for sure, is not a typical or customary leadership model. In addition, a business model with the goal of collaboration costs time and money. This is not a free trip to Disney World. The long lead time requires patience and endurance because the payoff is not instantaneous. This is delayed gratification, which is hard for CEOs who are expected to deliver outcomes in near-term demands. This goes to the boards of nonprofits, which often are have great doubts about the newest and latest management themes. All in all, collaborations are a work in progress, but they are a model that has real market benefits. Indeed, many of the government reforms being pushed are as close to market-driven models as we find in the history of human services. Therefore, the nonprofit providers have to step up to win the day. Committing to a shared focus and bringing our resources, particularly intellectual capital, together has resulted in shared learning and evolving business strategies that will produce better results for the people we support and value for our payers. Though they are works in progress, the VAP Article 31 Clinic project of CBHS will include collective efficiencies and improvements to move toward sustainability and CBHCare, the IPA created with HRHCare, is implementing the clinical models for integrated care that are at the center of our value proposition. Additionally the commitment of NYIN to lead innovation, including self-directed care, is forming the opportunities to create better outcomes for the people we support as we develop new business models to support these results. As my colleagues have noted, there are obvious substantive and strategic benefits agencies derive from good/great collaborations (which ultimately should positively impact the people we serve)…and as the participating agencies are better positioned and prepared for the changes ahead, it likewise helps us take part in the thinking and designing of the very policies that will shape and define those changes! Less obvious, but no less important, our discussions inform and elevate our thinking as leaders in the field, and as CEOs and leaders of our respective agencies. IPAs offer agencies looking to collaborate with a legally recognized framework to achieve shared goals, such as clinical and financial integration. The benefit of achieving common objectives through an IPA, as opposed to a different (and perhaps less formal) mechanism, is that it enables providers to incorporate payer-contracting into its collaborative activities and to transition seamlessly to value-based payment models when the collaboration matures. In this climate of inadequate lack of support from government, collaboration among agencies is crucial for their continued survival. Some four years ago a group of large group developmental disability providers decided to come together to prepare for managed care. The group is called NYIN. One important outcome was the level of sharing of ideas and best practices among the CEO’s. It has led to greater efficiencies and a level of support from the group on how to face the serious challenges we now encounter. The level of trust and candor is unprecedented. NYIN is a great example of how collaboration works. For organizations to survive, collaboration should not be the exception but the rule of how organizations can adapt and survive in this ever-changing and challenging environment. As the Three Musketeers said, “one for all and all for one.” That’s the way I feel about the CEOs of NYIN. For both CBC and NYIN collaborations, it has taken a lot of hard work, time and sweat equity. Collaborations are not easy but are rewarding because of the shared thinking and commitment to important goals. Having a clear purpose was an important starting point but the real basis for cooperation was a commitment to shared values. This alignment keeps us together. We do have a business reason to collaborate and that keeps us moving forward by giving us market strength and presence. This brings shared benefits in terms of working with the managed care payers and most importantly it gives our members the financial platform to provide care to the people we serve and provide them continuity of relationships with providers they trust. IAHD became a member of NYIN to play a role in implementing managed care. Along the way the collaboration had a profound impact in other very significant areas. We have shared and taken advantage of best practices of the partner organizations; we have collaborated on projects to address the government’s transformation agenda and to impact services to people with developmental disabilities in the areas of integrated employment and self-direction; and we have pooled our buying power for significant cost savings. We are one of the latest organizations to join NYIN. While it may seem odd that an Association would join a collaborative but the CP Association is also a provider of care under its Metro Services arm. This is a long-standing and large provider of services for persons with intellectual and developmental disabilities in New York City. We believe that NYIN offers Metro Services a unique opportunity to partner with other NYIN providers in the New York City. We are anticipating that this partnership will be essential to meeting the changing demands in the market place but will also provide a way of sharing best practices, entering into joint program development, and participating in demonstrations and pilots of innovative solutions. Learning and thinking together is major plus for all the members. Since OMPDD providers have historically had the benefit of a steady stream of income from OPWDD, there often didn’t appear to be a need to collaborate, and few, if any CEOs actually fully understand how to go about making a solid judgment about whether a particular merger would help or harm their own organization. The benefit of the NYIN group is that the CEO’s of the partnership of come to trust one another, and the open sharing of ideas, concerns, and operational difficulties, has certainly helped each organization better position itself to face the new world of managed care. Because of this shared trust we have been able to establish group purchasing possibilities, and we jointly created a fully integrated business (Meaningful New York). I personally believe there are many more areas we can use collaborative efforts to more efficiently run our own organizations, and I look forward to working with NYIN to help ensure that all of our organizations find ways to be sustainable during the next 3-5 years. The time has come for not for profits to learn what large health care institutions have known for year: collaborative efforts promote better care, and shared data promotes better outcomes. Time for all of us to focus by changing our approach to managing and start learning new approaches to care, grounded in smart alliances. Providing patients with quality, well-coordinated, accountable and efficiently rendered health care services is the core focus of our nation’s $4 trillion system of care. Achieving that same level of care for patients with complex needs, such as those with Intellectual and Developmental Disabilities (IDD), is uniquely challenging. The Alliance for Integrated Care of New York (AIC – formerly the Accountable Care Coalition of Greater New York) was formed in 2013 to galvanize and enable a statewide IDD group of health care organizations to step up to that challenge. An ACO almost exclusively devoted to this population is a fundamental health care innovation, one that has compelled 13 partner organizations throughout New York State to actively pursue and adopt advancements in healthcare delivery, optimize the use of analytics to drive coordination of care and embrace other effective value-based approaches. With over 8,000 Medicare beneficiaries, mostly dual-eligibles, scale truly makes a difference. Our collaboration has produced an alliance of like-minded organizations that are devoted to embracing and promoting the need for system transformation, while adhering to our collective vision of developing a sustainable system of care for those most in need. CBC is a health home under the Medicaid Reform Team. A nonprofit membership organization started in 2011, CBC is comprised of results-driven New York City organizations that are experienced in providing specialized case management, supportive housing and neighborhood-based clinical treatment for medical, mental health and substance abuse disorders. A subset of CBC providers have formed an IPA. CBHS is a joint venture created by ten major behavioral health and disability providers in the Hudson Valley: Mental Health Association of Westchester, Mental Health Association of Rockland County, Westchester Jewish Community Services, Access: Supports for Living, Human Development Services of Westchester, Mental Health America of Dutchess, Abilities First, Rehabilitation Support Services , Crystal Run Village, and New Hope Community. Coordinated Behavioral Health Services (CBHS) incorporated as a NYS NFP in August 2012 and has 10 members, of which seven are engaged in the behavioral health (including health homes) line of business and five in the Intellectual and Developmental Disabilities line of business. CBHS joined NYIN in the fall of 2012 and through NYIN is a partner in the NYIN IPA and Meaningful NY, striving to lead innovation and business models for the future. CBHS is committed to striving to lead the triple aim – to ensure access to quality health care, better health experiences, and at sustainable costs. CBHS Behavioral Health formed CBHS IPA in October of 2013 and through that entity partnered with HRHCare, a premier Hudson Valley and Long Island FQHC, in November of 2014 to form CBHCare IPA, which is positioned to lead integrated physical and behavioral health care through value based contracts. The Alliance for Integrated Care of New York, LLC (AICNY) is Medicare Shared Savings Program ACO, formed primarily to meet the health care needs of individuals with IDD, while also transforming the systems of care traditionally supporting this vulnerable and underserved population. AICNY has 13 ACO partners, 12 of whom are organizations focused on serving patients with intellectual and developmental disabilities (IDD).These organizations represent a significant regional footprint encompassing virtually all of New York. There are 200 providers and over 8,000 dually eligible Medicare beneficiaries, the majority of whom are patients with intellectual and developmental disabilities, are represented in the ACO. AICNY is likely the first and only ACO of its kind in the country. While pursuing shared savings in the Medicare program, the core mission of the ACO is to develop and scale innovative care models that will meet the needs of individuals with complex and co-morbid conditions. Furthermore, the ACO provides substantial strategic advantages in managed care settings, FIDA and DSRIP engagement as well as a compelling framework for a Medicaid ACO demonstration initiative. 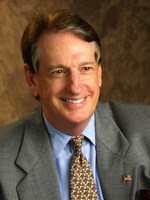 Arthur Webb is the owner and principal of the Arthur Webb Group. He has close to 40 years of experience in the field of health care. He is recognized for his work in building systems of care for some of the most difficult to serve persons. Having been in top executive roles for most of his career, he understands the dynamics of creating solutions for organizations that are effective and efficient. With almost 18 years as public official in New York State government including responsibility for Medicaid budgets in the state budget division; commissioner or director of four government agencies including Department of Social Services (the welfare, Medicaid and social services agency, which was re-organized in the 1990s); Office of Mental Retardation and Developmental Disabilities; Office of Substance Abuse Services (integrated into the Office of Alcohol Substance Abuse Services—OASES); and Health Planning Commission—now defunct. As a provider, Mr. Webb was president & chief executive officer of Village Care of New York and, most recently, chief operating officer of St. Vincent’s Catholic Medical Centers in New York.